Own some well-read and much-thumbed guides to transforming your life and space, inside and out, based on principles of the ancient art of feng shui. Find your flow with chi-enhancing books in every flavor from feng shui experts. Author Karen Kingston published Clear Your Clutter With Feng Shui in 1998. It's been a classic ever since, as has her Creating Sacred Space with Feng Shui. The current, updated edition keeps the practical focus on clutter clearing -- the essential first step in truly opening a space to free-flowing positive energy. The emphasis on Kingston's specialty, spiritual space clearing, as well as the incorporation of feng shui principles, is motivating for anyone who wants to feng shui their living space. That motivation, and the careful step-by-step guide to creating a new environment, work particularly well for newbies who may be overwhelmed by a tackle-it-all-at-once cleaning and clearing approach. Kingston is a popular feng shui and space clearing expert, based in the UK, who's lived in Bali where she studied sacred energy and space clearing rituals. She offers online courses for those interested. Interior designer and feng shui consultant Tisha Morris expands on the ways to use the five elements to decorate the interior of your space. Fire, water, earth, metal, and wood each have an energy quality that amplifies particular attributes of wellbeing and good fortune and each interacts with the others. Understanding the elements and their related colors narrows what could be a confusing array of possibilities to manageable and effective choices for good feng shui and the abundant flow of positive chi. Morris' 3-step formula for creating a feng shui environment details the personal energy boost each change will affect. 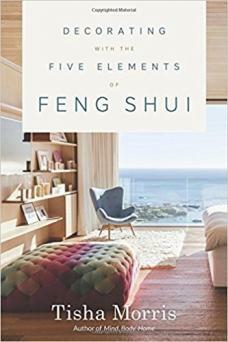 Decorating With the Five Elements of Feng Shui is a holistic guide that's easy to follow -- and Morris has a small library of books about mind-body-environment integration, feng shui, and decorating for further research. Heads up, feng shui beginners! 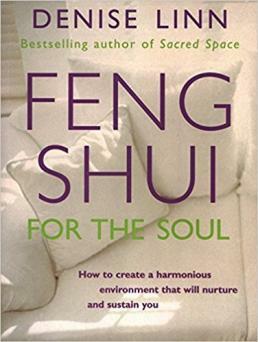 Karen Rauch Carter has produced a contemporary and accessible guide to the life transforming benefits of feng shui that simplifies the complex. From finding a dream job to marrying a dreamboat, having kids, getting healthy, and killing it in your career, Move Your Stuff, Change Your Life: How to Use Feng Shui to Get Love, Money, Respect and Happiness has answers you won't need a PhD to understand. Rauch Carter's book is full of anecdotes, illustrations, exercises and advice. She's a landscape-architect-turned-feng-shui-consultant with specialties in holistic health, design, neurolinguistic programming, and other healing and energy work. Find your issue -- and what to do about it -- in this popular book. Cleanse your home, create a spiritual environment, improve your life and follow your own wisdom under the guidance of a renowned teacher and iconoclastic feng shui expert. Take it further with some of her many books on diet, oracle readings, space clearing, and dream interpretation. Linn's is a really useful book for anyone who studies and applies spiritual energy principles. Simon Brown, a traditional feng shui teacher and consultant and macrobiotics expert, gathers a lot of information in The Feng Shui Bible: The Definitive Guide to Improving Your Life. The book is a compendium of principles, remedies, and practical applications. It is not a modern feng shui primer -- Brown uses the eight trigrams (classic feng shui) as well as the five elements and real-life examples of how shifting energy delivers results in relationships, prosperity, career, and more. This is a visual reference book with a lot of information (a good list of remedies) -- a practical resource best used by someone familiar with feng shui or someone looking to define aspects of feng shui in preparation for engaging a feng shui expert. 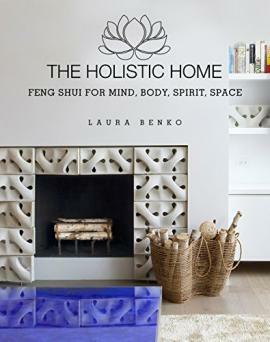 The Holistic Home: Feng Shui for Mind, Body, Spirit, Space offers practical actions, tips and real-life client stories to help you transform the energy in your home, and your life. Lillian Too is synonymous with feng shui. 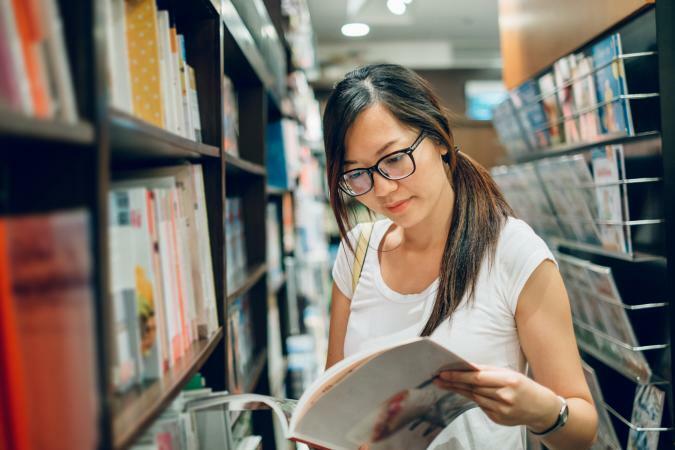 The former businesswoman and wildly successful feng shui entrepreneur has published a library of books, like Feng Shui in the Home, about various aspects of feng shui and how to apply them. The Complete Illustrated Guide to Feng Shui is an illustrated cram course in using the principles and remedies for greater health, wealth, and happiness. Too's work has an extremely popular focus -- it is easy-to-follow, practical, and positive. She has developed her own hybrid feng shui that mixes elements of traditional schools with contemporary sensibilities; it's authentic enough to work and accessible enough to follow. Her guide is full of methods and tools to maximize good chi as is her website. She offers charts to customize your approach, plus plenty of photos and tips for using decor, crystals, mirrors, lucky objects, astrology, classic principles and placement for every situation. Too's example demonstrates that feng shui is good business, as well as good for you. 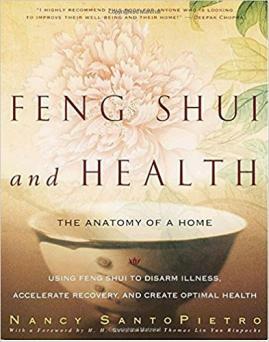 This is a big fat book about how feng shui can reveal and help to heal illness by realigning the energy flow in your environment. Check your own decor and furniture placement to see how you recreate unhealthy energy patterns in your living space -- and then use this guide to fix them. Explore chakras and basic principles of feng shui. Learn about how color affects common illnesses. Find suggestions for correcting interior design layouts to optimize good health. With a forward by BTB (Black Hat) Feng Shui founder Thomas Lin Yun Rinpoche, and copious charts, checklists, and feng shui applications by author and feng shui consultant Nancy SantoPietro, Feng Shui and Health: The Anatomy of a Home tackles wellbeing on a physical as well as energetic level in exhaustive detail. Scour your local bookstore or library, or scan the eBook offerings online for feng shui tomes tailored to your needs and style. Some of those books will speak directly to you and help you to move mountains, make miracles, and get that positive chi working for you. Others will answer your initial questions and lead to more questions and further study. Most give you the tools to feng shui your own space or enough background to find someone to help you do that. But don't just read about it. Use books as a springboard to open the free flow of beneficial energy in all the spaces around you.